When it comes to window treatments for your home or office, you’ve got a number of options to choose from. You can either hang curtains, install shutters or blinds. These treatments allow light to enter your office or home naturally, improve air quality by increasing circulation, provide privacy, and enhance a room’s décor. Now even though all the above-listed window treatments are highly effective, window blinds are arguably the best choice. This is because window blinds give you a built-in solution- one that offers you privacy and much more options compared to curtains or shutters. Most home and office owners in Singapore actually prefer installing window blinds to other types of window treatments. In this article, we are going to compare two of the most popular window blinds in Singapore; the Venetian Blinds and the Wood Blinds. We will look into their advantages and disadvantages to help you make an informed decision when buying. Venetian blinds are window blinds characterized by horizontal slats, usually made from PVC, aluminum, and wood. The slats can be easily controlled or rather moved into various positions to allow the perfect amount light and air to pass through into a room. You have to use a lift cord to elevate the blinds up and down, and to hold them in a particular position. Venetian blinds are arguably some of the most popular window blinds, mostly due to their elegance, design and style simplicity and flexibility, and versatility. 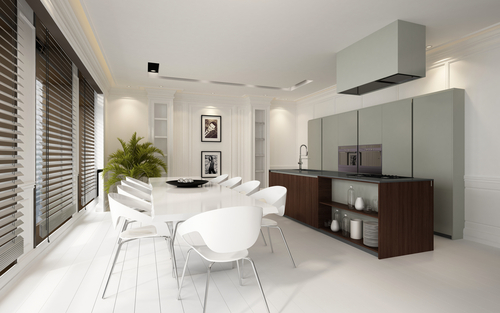 They are actually flexible enough to suit each room’s taste and style. They are also easy to install and clean, and allow just the right amount of light into a room. Let’s have a look at the advantages and disadvantages of Venetian blinds. • Design and Style Flexibility: Venetian blinds can literally fit into any room of the house or office. This is because they are simple, modern looking, and come in a variety of styles, colors, and patterns. They just fit perfectly into any room’s décor. Depending on your style and taste, you have the option to choose vertical, mini, Roman, and even cordless blinds. • Maximum Light Control: Venetian blinds give you complete control over the amount of light you let into a room or office. You can position the slats to allow light or reduce it. You can also close them to shut out the light when you want to sleep. • A variety of Materials: Venetian blinds come in a wide variety of materials, allowing you to choose the most appropriate depending on your taste and home style. You can choose from wood, PVC, aluminum, or bamboo materials. • Complete Privacy: Venetian blinds provide a higher level of privacy compared to other window treatment options. The good thing about their excellent privacy is that they have the top-down option shades. With these shades, you can lower slats from the top, allowing natural light to pass through while still providing maximum privacy. 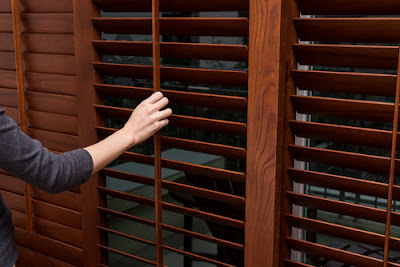 • Easy to Clean: Venetian window blinds are extremely easy to clean. This is because the slats are completely flat and can therefore be dusted and washed within the shortest time. • Ease of Installation: Another advantage of Venetian blinds is that they are extremely easy to install. They do not require to pins, hooks, or special equipment to install over your windows. • Safe and Easy to Use: Venetian blinds are safe to use, even for children. They do not pose any risk. They are also secure and protective as small kids or pets cannot fall over the windows as the slats only allow light to pass through. They are also easy to open- even small children can open and close them. • Affordable: Unlike some window treatments such as wooden blinds, Venetian blinds are extremely affordable. You won’t have to break a bank to have them installed in your home or office. • Low Maintenance and Durability: You don’t have to schedule a cleaning day for your Venetian blinds. A few minutes of wiping will keep them looking their best always. Furthermore, they are very durable as the materials used are of the highest quality. This means no regular repairs or replacements are needed. • Wooden Venetian Blinds are Heavy: The wooden Venetian blinds are a bit heavy and can put a lot of pressure on large window sizes. 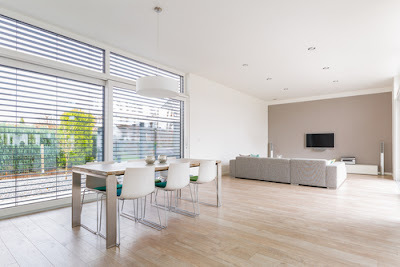 • Constant Cleaning: Even though these blinds are extremely easy to clean, you’ll also be required to clean them on a regular basis since they tend to soil easily. • The lightweight versions tend to break easily if not handled with care. Wood window blinds are basically window coverings made from various types of wood cut into slats. These wooden slats can either be vertical or horizontal. The different types of wood used include Oak, American Basswood, Pine, Cherry, Poplar, and Maple. The blinds also come with various types of wooden cords. Wood blinds are available in a variety of shades and styles. The good thing about these blinds is that they give a room a traditional style and bring in a feeling of nature. Also, wooden blinds can easily fit into both the traditional and contemporary room styles. They are also very effective in managing the natural light entering a room. Also, they provide a high level of privacy. Wood blinds are actually more popular in Singapore because they look more inbuilt within wooden structures compared to other types of blinds. One of the major differences between Venetian blinds and wooden blinds is the cost. Wood blinds are much more expensive to install as compared to Venetian blinds. They are also heavier. Let’s look at the advantages and disadvantages of Wooden Blinds. • Wood blinds impart an elegant and warm look to the interior of a room or office. This is exactly why many homeowners in Singapore prefer them over others. • Wood blinds are versatile and can therefore be used in houses featuring different styles- from modern to rustic styles. • Wood blinds come in a variety of types based on the type of wood used to make them. This gives homeowners an array of options to choose from. • Wood blinds are available in a variety of stains, colours, and patterns. Most wood blinds have distinct grains, patterns, colours, and stains from actual wood pieces. This unique appearance is what makes wood blinds extremely appealing to many home and office building owners. • Wood blinds are able to control sunlight and are also able to withstand extreme temperatures. • Compared to some window treatments, wood blinds offer a high level of privacy. • Wood blinds are highly durable and long-lasting since wood used to construct the slats are from the highest quality indigenous trees. • Perhaps the biggest disadvantages of wood blinds is that they are very expensive compared to other types of window treatments. • Wood cannot be used in places that have poor ventilation or high humidity as they rot easily. There you have it; the comparison of the Venetian blinds and Wood blinds. Now that you’re well informed about the difference between the two, you’ll be able to make a more informed decision during your purchase. Just visit a reputable store in Singapore and buy your preferred blind choice.